G’day Surfers, strong move but is it a new trend?? Price Action totally ignored my Play of the Day yesterday, as well as quite a few Support Levels including Daily & Weekly Pivots, DS-1 & 2 and our long time favourite, 1.3033. The absolute gushing of EURO over the waterfall saw 124 pips plunge into the catching pond below, @ 1.2950. 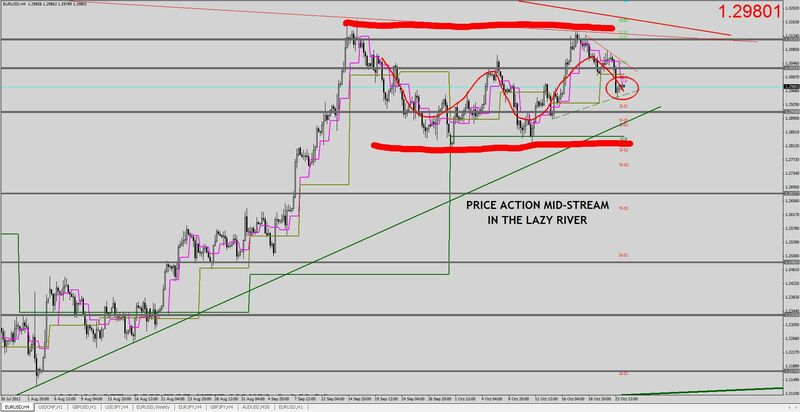 One piece of our analysis that price action didn’t disrespect yesterday, was the Bearish continuation flag – the break of which proved decisive and continue the fall, it did. 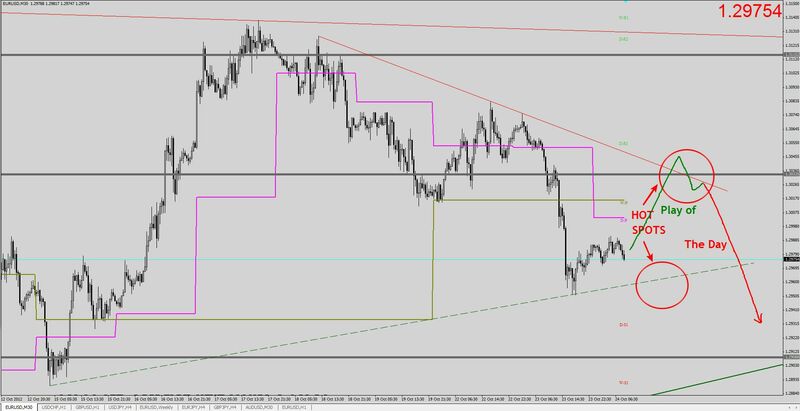 Our only potential trade was a Long S&R on GBP/JPY but triggered, it was not. As above, I’m struggling for direction. With a truck load of announcements to contend with, I will be a spectator early today. I do have a couple of Hotspots and hopefully, they’ll contain Price Action until the plethora of early news has finished creating it’s havoc. Right now, it’s 50/50 for me and I need better than that to spring into action. Things may be a little clearer post news – no rush! Hope the day is kind to you.